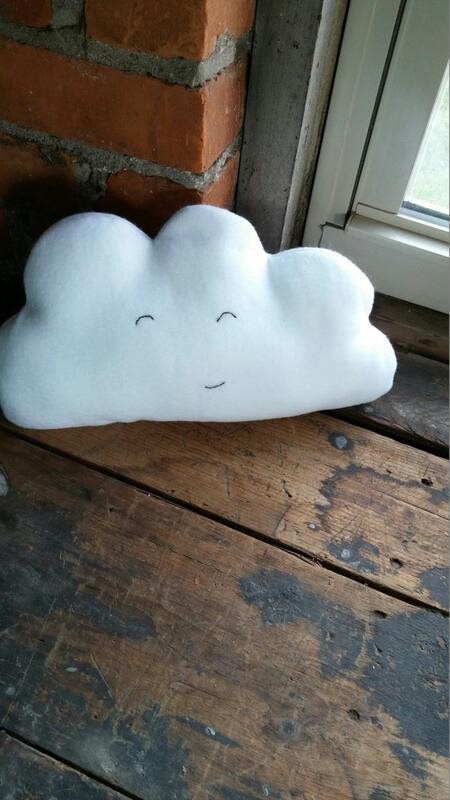 Put a smile on someone's face with this adorable happy cloud. Made from soft white fleece with a hand embroidered face. Each and everyone of these is handmade WITHOUT a pattern so no 2 clouds are exactly the same. Mini cloud to match can also be made they are approximately 8x4 custom listing coming soon!!! These are great as a small pillow on a childs bed, a cuddle friend at story time, nap time, a great toy to give your child on those nights they have a bad dream.